Manchester City gained revenge for their recent league defeat to Chelsea. Manuel Pellegrini’s side was very different from that match, with Costel Pantilimon, Joleon Lescott, Gael Clichy, Javi Garcia, James Milner and Stevan Jovetic all included. Jose Mourinho’s, however, named the closest thing possible to the XI that won at the Etihad. John Terry was out, so David Luiz moved back and John Obi Mikel came into the midfield. City were significantly superior throughout, amazingly so given how how confidently they were beaten less than a fortnight ago. With Mourinho attempting to play exactly the same way as in the previous meeting between these sides, the tactical battle felt like a loose imitation of that match. 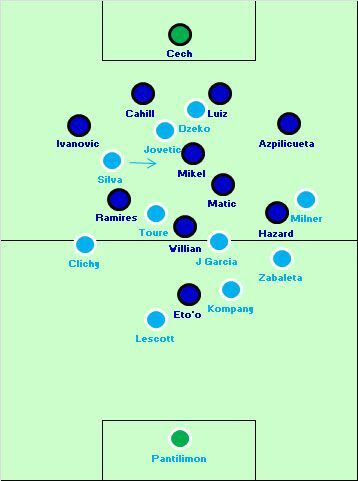 There was a similar shape – Ramires’ and Silva’s narrowness meant there was space down that flank for the full-backs, but Branislav Ivanovic was less aggressive and only reached the byline once (although that did result in a dangerous moment) while Clichy is less of an attacking threat than Aleksandar Kolarov, particularly in terms of crossing, and also stayed in deeper, more central positions. The most obvious feature of the game was how quickly City closed down Chelsea’s three attacking midfielders – Ramires, Willian and Eden Hazard – whenever they received possession. This was obvious from an early stage when Javi Garcia stormed into a tackle on Willian, but rather than it being Garcia’s job alone, it summed up the approach of the whole side. 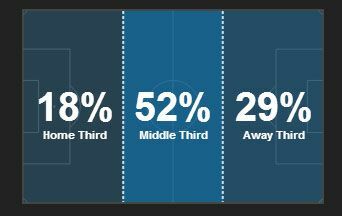 City were blown away by Chelsea’s counter-attacking pace in the previous game, and clearly decided that the crucial part of their defending was to prevent the attacking trio turning. Therefore, there were a series of incidents where City’s players worked extremely hard to press as soon as the first pass was played into Chelsea’s attacking midfielders. Vincent Kompany played a particularly proactive role, which was interesting because the Belgian always seems most uncomfortable when being brought up the pitch by deep-lying forwards. He made one mistake, when he was cautioned for fouling his compatriot Eden Hazard, but overall got his decision-making right, with Joleon Lescott sweeping behind. The full-backs also played a part, and it was useful that Pablo Zabaleta likes sticking tight to opponents, and Gael Clichy loves darting in front quickly to intercept balls. Indeed, it was such a collective effort that at one point, David Silva nipped in ahead of Ramires to complete an interception and launch a counter-attack – that felt like a role reversal, and was evidence City had the upper hand. The approach was risky, especially because it exposed Lescott to the runs of Samuel Eto’o, but Chelsea were simply unable to win these individual duals. Fouls played a part, too: Garcia fouled Willian, Yaya Toure fouled Nemanja Matic and then Garcia fouled Mikel within the opening 15 minutes. This broke up attacks quickly and Chelsea were unable to counter. Whereas Pellegrini probably made a mistake by playing two classic strikers against Chelsea in the league match, here his side had more variety because of the presence of Stevan Jovetic. He’s a very mobile striker and impressed with his movement, stretching the opposition back four in every direction. He dropped deep to become involved in link-up play, sometimes played on the shoulder of the defence, hitting the bar when he was first to a rebound, and also made intelligent runs towards the flanks to retain width when necessary, opening the scoring having moved right as Milner drifted inside. City’s system – and Pellegrini’s systems in general – always depend upon good, integrated movement, and Jovetic is theoretically perfect for this type of play. It seemed to bring the best out of David Silva, too – who received the ball frequently in the 1-0 defeat but had no outlet in possession. 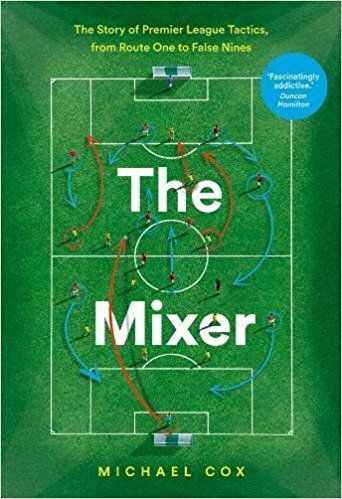 Mikel and Matic took it in turns to track him across the pitch, but Silva’s positional variation meant he continually found pockets of space, and he was the game’s star man. Also of great use was Garcia, who simply offered more mobility than Martin Demichelis in the role alongside Toure. This was the Spaniard’s best game in a City shirt, and simply seemed to cover more ground than Demichelis, helping to plug the gaps in midfield which were inevitably left once Toure darted forward. Garcia isn’t a perfect holding midfielder by any means, but the energy offered by Fernandinho is as important as his positional discipline (he’s not actually a natural defensive midfielder, and is more of a Ramires-type midfielder). It’s that mobility which Pellegrini must replace while the Brazilian is out of action, because it helps City get away with a two-man central midfield, and on this evidence Garcia is a better option than Demichelis. The other key difference from last weekend’s side was Milner, who played a very useful defensive role on the right when City went 1-0 up, helping to prevent Hazard becoming involved on Chelsea’s left. Miler is capable of playing almost any role on the pitch, and could prove useful in the remaining months of the season – he probably hadn’t previously played such a good ‘tactical’ game under Pellegrini. Ultimately, the most obvious lesson from this match was the importance of the first goal when one side is playing reactively. At the Etihad two weeks ago, Chelsea went ahead (slightly) against the run of play, and this goal allowed them to play devastating counter-attacking football for the remainder of the game – they were unfortunate not to score further goals in these situations. Today, because City went ahead early, they didn’t concede such space and therefore Chelsea’s counter-attacking prowess was barely noticeable. It was a combination of City adjusting their tactics, and the natural result of the game state. Indeed, without the ability to counter-attack, Chelsea were amazingly ordinary on the ball. There was no great source of guile or creativity from midfield, with Oscar only on the bench and not introduced until the 71st minute. Mourinho’s side laced a plan B, as if they’d taken it for granted that they’d counter-attack repeatedly and wouldn’t need any other source of attacking inspiration. Almost every pass they attempted to play in behind the opposition defence was overhit. At half-time Mourinho decided to introduce Mohamed Salah in place of Eto’o, and pushed Hazard forward to become the centre-forward. This was a curious decision, considering Salah appears to be another quick counter-attacker and therefore wasn’t offering anything different. Maybe Mourinho was attempting to use more natural pace upfront – Eto’o isn’t as quick as at his peak – to pin back City’s defence and dissuade them from coming out to close down, but it didn’t alter much. Mourinho then introduced Fernando Torres for Ramires (rather than one of the two holders – probably as he was scared of Silva finding space) with Hazard moving back to the flank and Salah moving right, which created a slightly more attacking side but again, didn’t change the nature of Chelsea’s attack. It was amazing that Mourinho waited until the 71st minute to introduce Oscar – Chelsea were already 2-0 down by this stage. Pellegrini removed Jovetic and introduced Samir Nasri at 1-0, and within minutes the Frenchman exchanged passes with Silva to make the score 2-0. That was a bonus, because Nasri’s introduction was more about solidifying the side with an extra midfielder, and creating a proper 4-2-3-1 system – which Pellegrini may use against Barcelona in midweek. The introduction of Jesus Navas in place of Silva, with Milner switching flanks, gave the side both more structure and energy, and City were never really troubled. Chelsea’s performance was particularly flat. Three shots all game, and none on target, underlines how desperately poor their attacking game was. They’ve depended upon quick, direct counter-attacking in recent weeks, and have looked much less impressive when unable to play in that manner. Mourinho’s complaints about West Ham’s ‘19th century football’ suggest he’s troubled when his players are denied space to break into, and there’s a lack of genuinely creative options in midfield. That said, City didn’t park the bus like West Ham – they pressed, and their primary strategy was to shut down Chelsea’s attacking midfielders quickly, preventing them from turning. This approach required good decision-making and relied upon players to win their individual battles, and City’s defensive players all performed well. Elsewhere, Garcia brought more mobility, Milner more defensive discipline against Hazard, and Jovetic better movement and more variety going forward. It feels simplistic to pinpoint the personnel changes from the 1-0 defeat and highlight each of the newcomers as crucial to the difference in result, but it’s largely true. Can t wait for tomorrow and the match against Barcelona. I think Pellegrini will start again with Clichy, cause he s defensive more solid than Kolarov. Also Nasri from the start would make sense cause City will really get tested in the center of the pitch, cause rumours assume that Martino will flood the center of the pitch with passing midfielders: Xavi, Iniesta, Busquets, Fabregas. What Do you expect Michael? City sitting deep or being “more” proactive? Also Spanish media report, Pedro will be chosen over Neymar. Although the pacey Brazilian could be a real test for City’s backline, hence Pedro seems to offer more defensively, which will be vital, because Barcelona always concedes goals on the counter. there was certain difference between the way man city played last time against chelsea compared to the way it played against it . the major difference was the movement of yaya toure . in the last encounter he was more of a box to box midifielder and that meant that he was struggling to help his midfield partner in defence . now in this game he was a bit restricted and he didnt venture that far but that doesnt mean that he wasnt effective . he was effective in every sense . at time a 5 or 10 yards movement can make a lot of difference . now let me explain that now in man city game milner stayed wide hugging the touch line so he was stretching the defence which means he was stretching the distance between defenders . 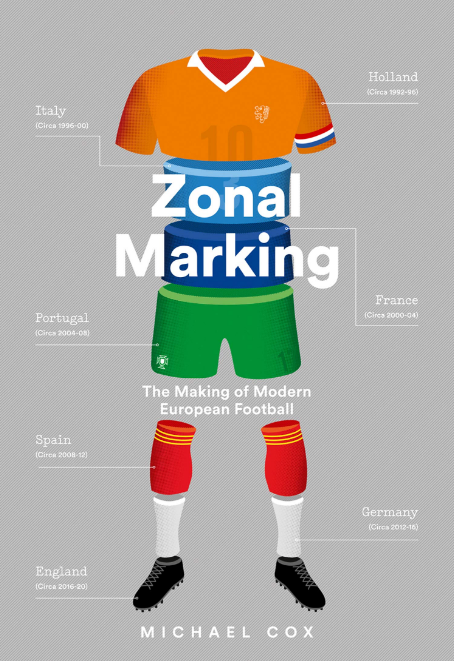 now that is in footballing terms horizontal stretching . now let me explain how toure stretched defense . now yaya didnt made the runs that he was associated with in the second game . now yaya will be defended by the midfield by the opposite number . now if yaya makes the run in the opposition box his opposite number will follow him but if he stays a bit farther away then his opposition number will also guard him in front of defense .so in that way there will be distance between the back four and defense . this was the space that was very well worked by city yesterday and most importantly all the team crave for that space between defense and mdifield also called as hole .if you could see yesterday toure staying deep was stretching chelsea vertical . mickel and matic were quite a bit away from their back line compared to luiz and matic in the first game . which gave space silva,jovetic and dzeko to work with . the first goal came in similar way they just worked the ball around the players . there was space between midfield and defense and they just used it to perfection but another thing at time chelsea defenders were not coming with the forwards and were maintaining shape rather than getting tight on players like dzeko and matic . the main thing that chelsea missed the most was the energy provided by luiz and his closing down in the centre . mickel struggled in the game . i dont know how to categorise him . he is not a complete defensive midfielder nor is he a creative midfielder . dont know why chelsea keep him . Your diagram of the ManC team positions, ZM, bears some resemblance to the antique formation 2-3-5, the main difference being that the front five is denser “horizontally” and diffuser “vertically” than in the archaic era, when a front five might typically have a centre-forward and two wingers in the most advanced positions, and one or both “inside forwards” spending time a bit deeper. I imagine the difference comes from higher levels of fitness, so that the “wing halves” Clichy and Zabaletta can often run forward to provide width. Further thought: better balls and pitches with better drainage, would both encourage the front five being denser “horizontally”. agree about lack of guile in Chelsea line up. if Hazard is not at it, they are lacking. even Oscar only has 2 PL assists. Willian in particular, i’ve been looking at, expecting a bit more. never scored more than 5 lge goals in a season. for 30mill you want more. 1 PL assist ( don’t even know if that was from open play..as he often takes corners ). tracks back great compared to Mata, but Mata might get you 10 lge goals per season, and can pick the lock when you HAVE to attack and can’t just sit back & counter. i’m not a big fan of Hulk starting for Brazil on R-side of attacking 3 m/f’s, but even he seems more exciting ( goal threat) than Willian. Chelsea’s lack of creativity in the absence of counter attacking was clear even against Arsenal at the Emirates. They barely created anything again prompting Mourinho to comment that Wenger’s team did not venture to play attacking football..
It’s possible the players themselves didn’t put in as much into this game as they could have. Away, against the ’strongest’ side… in the FA cup. Now that they have a genuine chance of winning the league, and still have the CL, it’s certainly plausible. Who knows, maybe mourinho himself didn’t press them too hard as he might have before their league match. Should we say Mourinho is a bit naive to believe Pellegrini won’t find a way to deal with his counter-attack + safty first approach. Pellegrini demonstrated how to deal with a “typical” Mourinho team. It is still hard to do but quite a lot of teams can copy the method. Mourinho is around for quite a while so people knows how to deal with his approach. The weaker teams can benefit from that: Simply by being more Mourinho than Mourinho. I thought it was pretty clear that Chelsea and Mourinho were just much less interested in winning this one than the EPL tie. Chelsea themselves generally displayed less effort to close, press and get back in position – Mikel for example too easily allowed Nasri to exchange the passes and then run in to the box, and I don’t think City would have been allowed to get behind Chelsea’s defensive midfield so easily (it was four on the back four) nor Jovetic as much sight of the net for the first goal if this was that EPL tie. And then the Salah and late Oscar subs that made little sense. Maybe some thought in Mourinho’s mind that it wouldn’t be the worst thing in the world for City to get congested with FA Cup fixtures and allow Chelsea to focus on the league.